Sure, you can hold your next business meeting at your office. It’s certainly convenient and the cost-friendly option. However, some meetings include important partners, investors, and stakeholders. These occasions call for a more special venue. 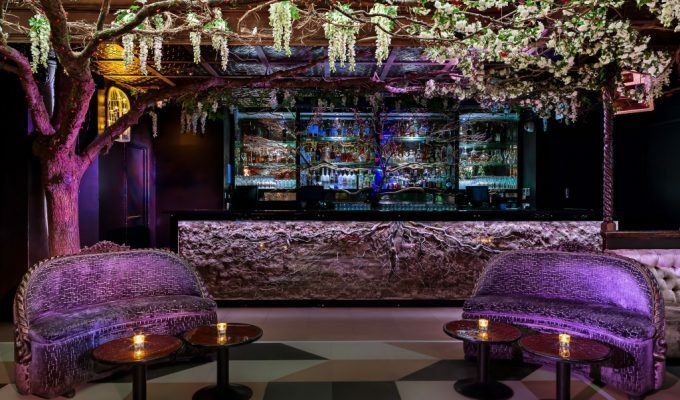 Here is a list of 10 creative meeting spaces in London that will leave a solid impression among your guests. 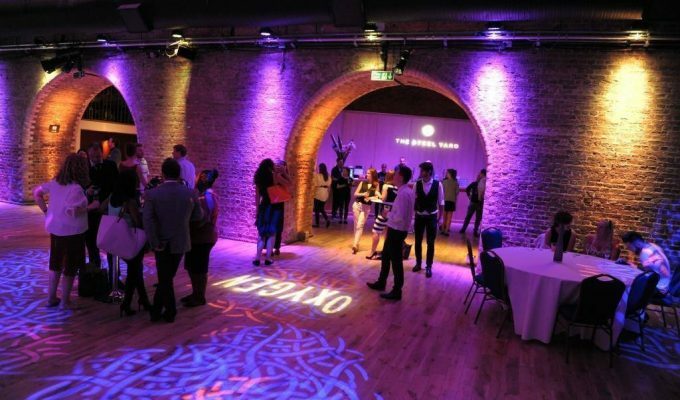 We have hosted numerous meetings and events in these spectacular conference venues and can personally attest that they are among London’s finest. True to its name, the White Space is just that, an empty facility with a nearly all-white backdrop. 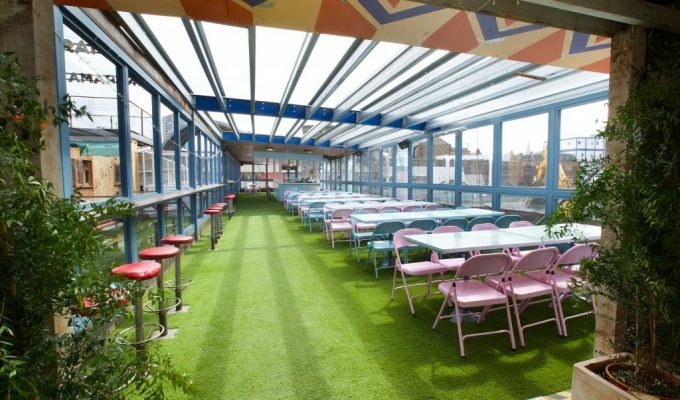 It’s for this precise reason that it’s one of our favourite creative meeting spaces in London. It’s practically a blank canvas, giving us the total freedom to decorate the area as we see fit. 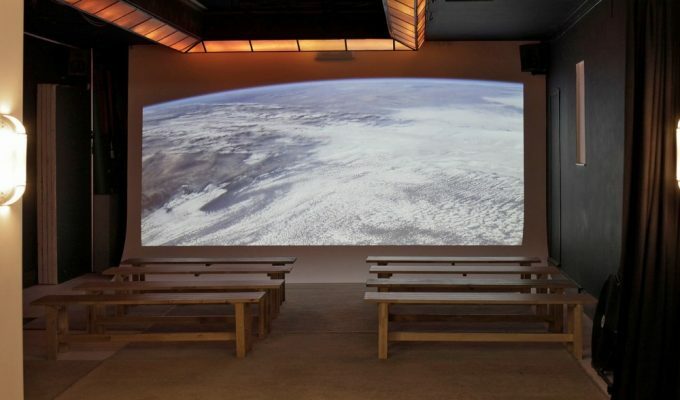 The facility also has an HD projector and screen that can be rented separately. 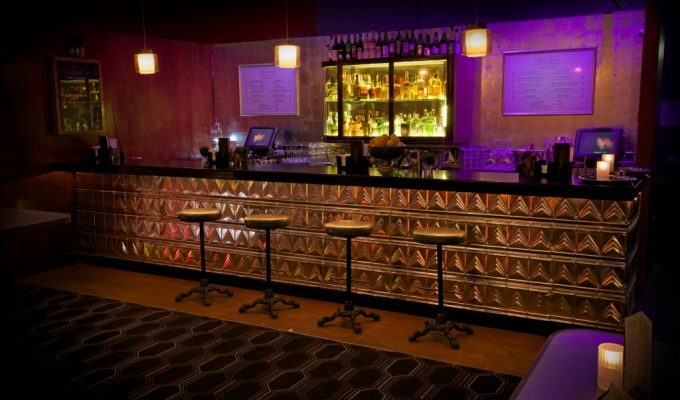 There is also a bar area where guests can grab a cocktail before or after the meeting. Finally, despite the venue being all white, there is a state-of-the-art lighting system in place that adds some colour contrast to the background. The Bike Shed is home to one of UK’s most distinguished motorcycle clubs. The facility is also fitted with a full-service restaurant, an apparel and accessory store, and even a barber shop. 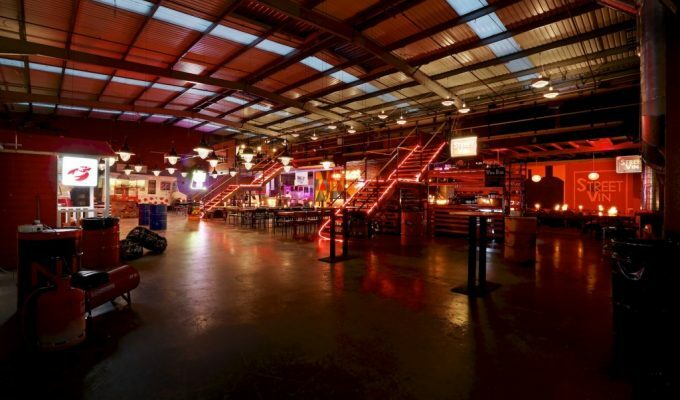 The venue is also frequently used for non-motorcycle related events. 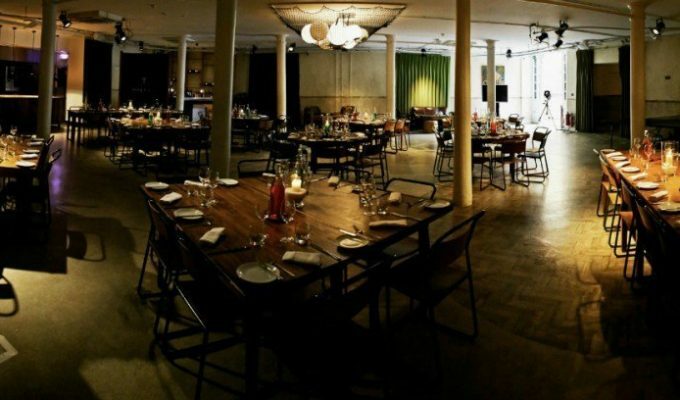 Enterprises often rent the space for large-scale meetings, often accompanied by an after-party at the restaurant. We usually ask clients if they have guests that are avid riders. If they nod in the affirmative, then this is always one of the first creative meeting rooms we recommend. 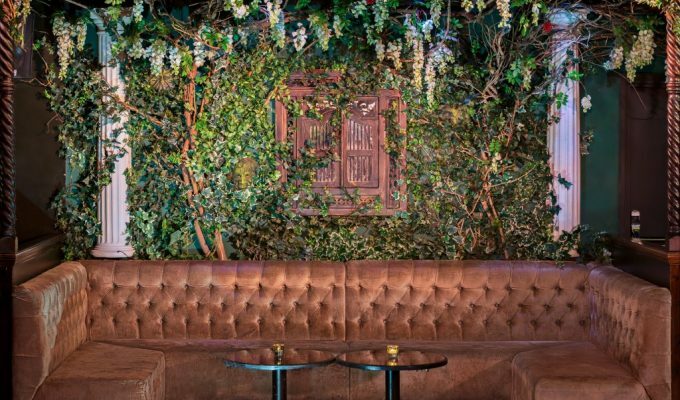 This venue is practically a nightclub, fully furnished with a bar located at its basement. This makes it ideal for live performances. The facility is fully equipped with furniture that can be arranged to your liking. 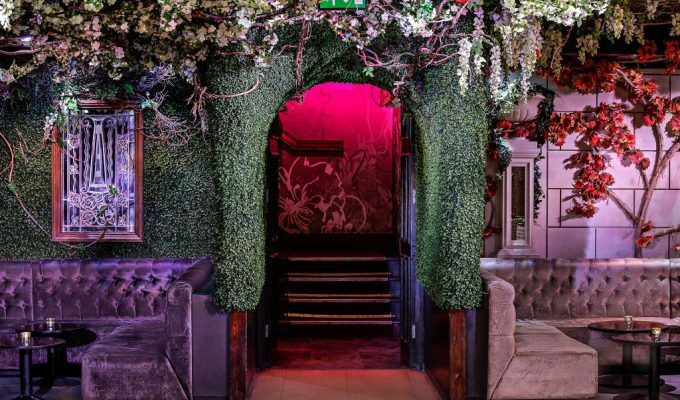 If you want to conclude the meeting with fun and loads of entertainment, then the Cuckoo Club is the place for that high-stakes meeting. 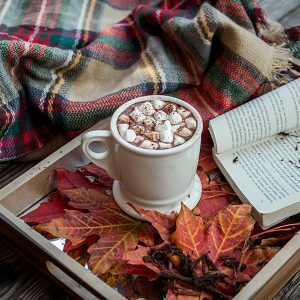 We must also add that this venue was described by Vogue magazine as “formidable.” The facility also recently underwent major renovations by the iconic fashion house designer Barbara Hulanicki. 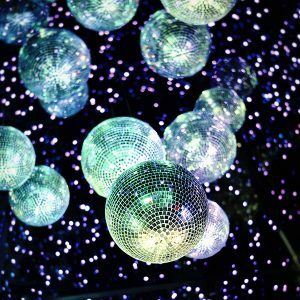 Our past clients have described the venue as “luxurious” and “quirky.” It’s practically the opposite of a blank canvas venue. 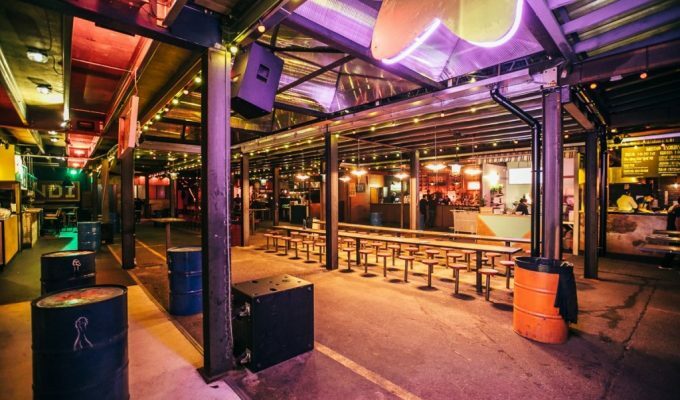 With its multiple bars, DInerama has that pub vibe that defines the very culture of London. 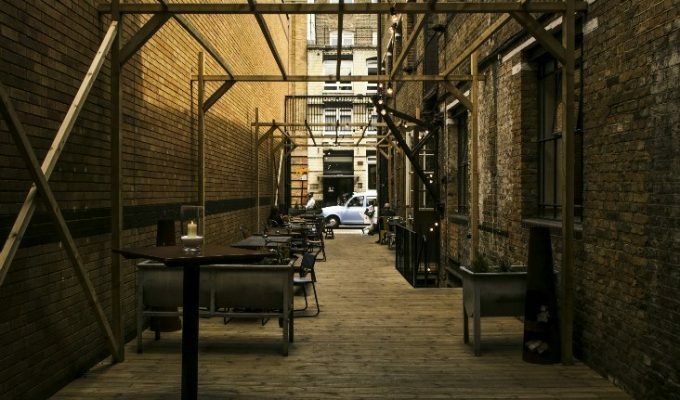 Aside from its wide selection of craft beers, tequila, and cocktails, the venue is also known for its nine sensational street food traders. 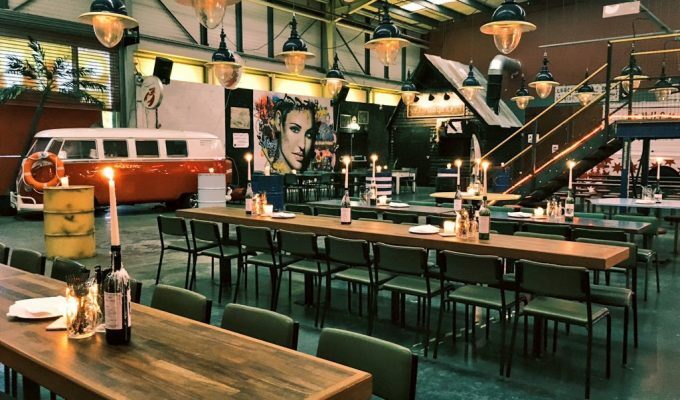 If you want to cap off your meeting with drinking and good food, then you can’t go wrong with Dinerama. The facility is also a popular venue for holiday parties. 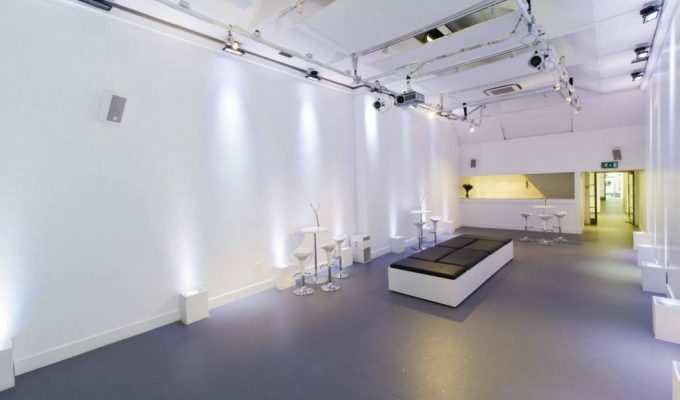 It’s one of our top creative meeting rooms of choice if you’re planning a meeting/Christmas party. 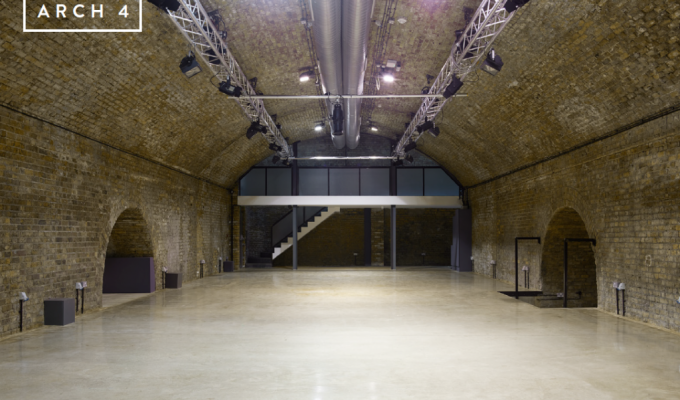 You can rent the whole venue, or just certain parts of the facility. If the latter, then we recommend the WInerama and House of Bamboo, both great meeting rooms for smaller conferences. 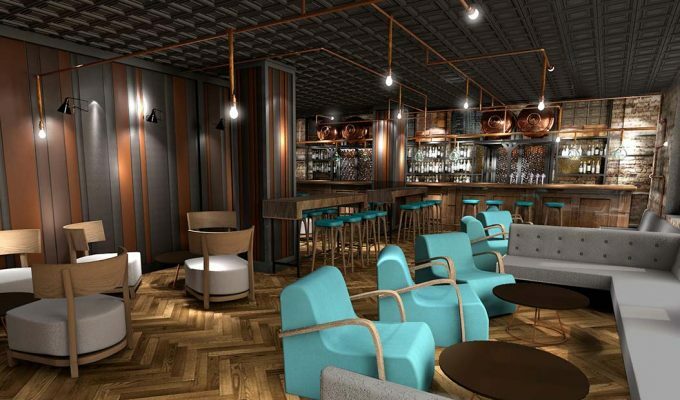 With 1,500-square meters of transformable space, the Hawker House is the ideal location if you have foreign guests. 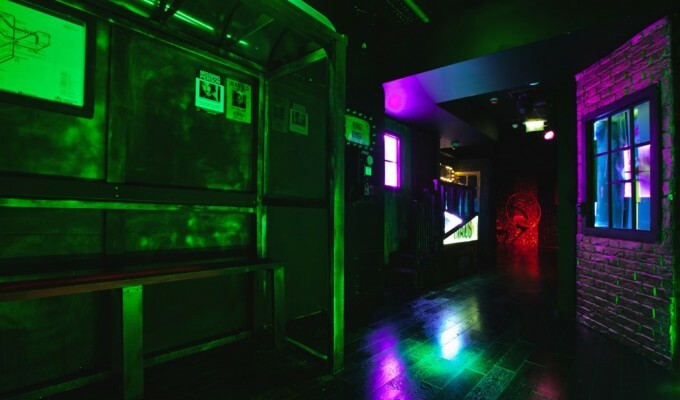 The facility’s multiple bars provide quite an accurate outlook of London’s pubs and taverns. 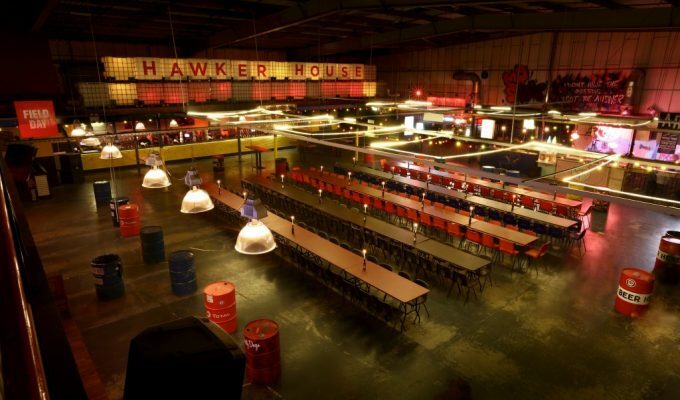 If you’re planning for an after party to go with your conference, then the Hawker House is the place to do so. 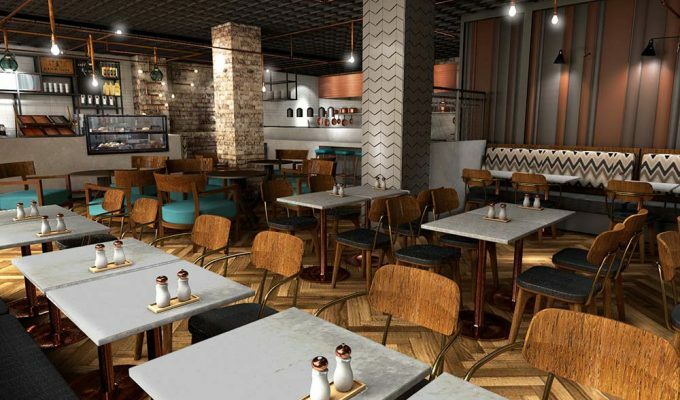 The place is also an indoor street food market, so guests will also get a taste of some of the best grub London has to offer. This includes various ethnic cuisines. 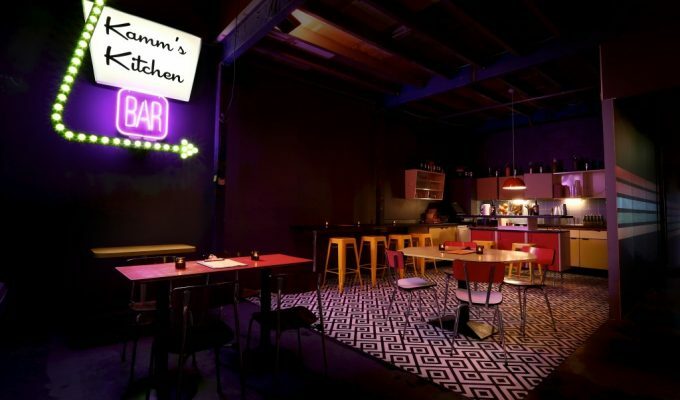 We highly recommend the food vendor Kimchinery, which serves a savoury blend of Mexican and Korean cuisine. With its name, one might think that the Steel Yard is some kind of junkyard storing scraps of rusted metal. No, this is far from the case. 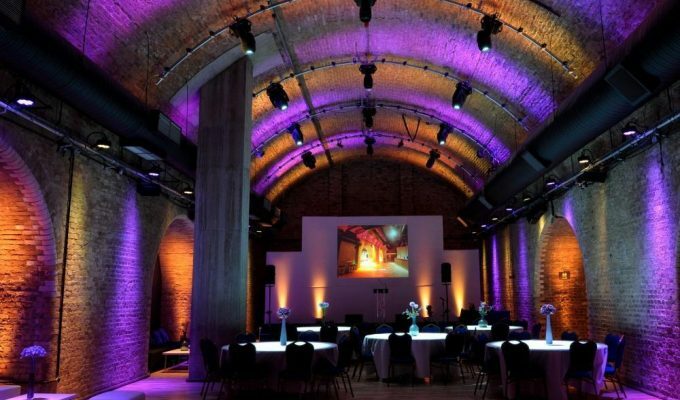 The venue is an old railway located beneath Canon Bridge Station. 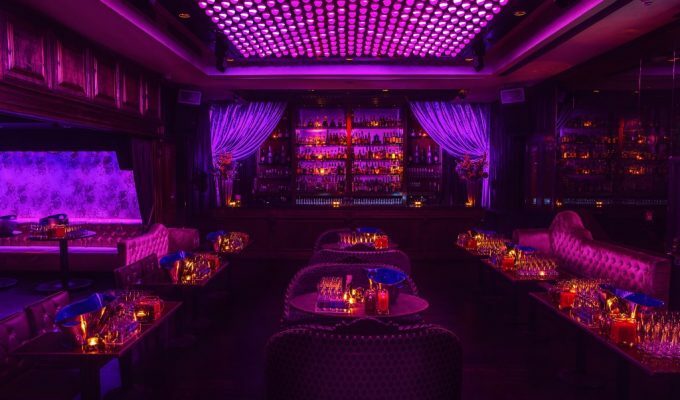 The fact that it’s an underground venue also gives it a speakeasy vibe. 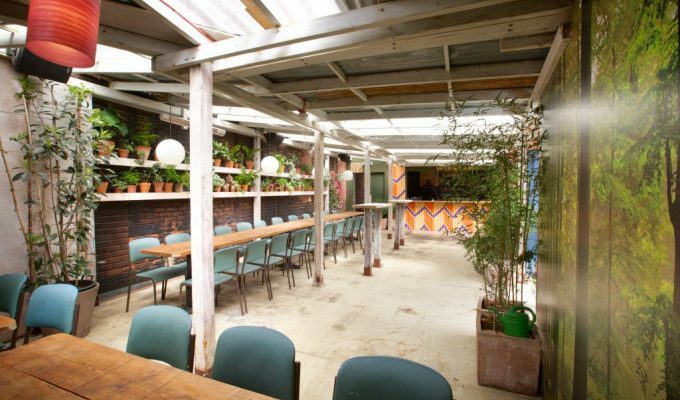 The space is full of character and even has an original Victorian hoist built into the ceiling. 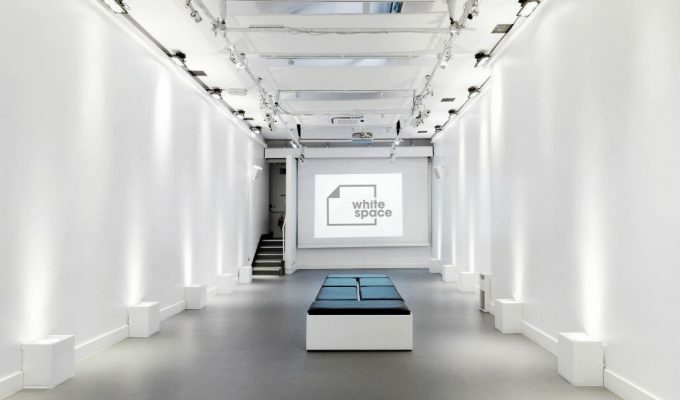 The event space, for the most part, though, is a blank canvas, so this is one of those creative meeting spaces in London that we consider when clients have specific room décor requirements. 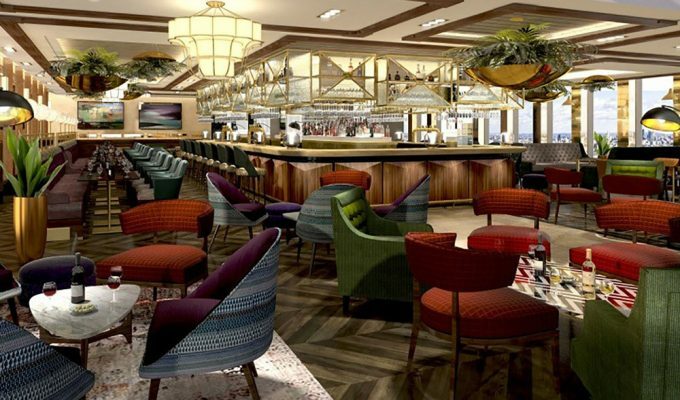 Montcalm London Hotel is located on Park Lane and within a stone’s throw of prominent streets, such as Oxford, Regent, and Mayfair streets. 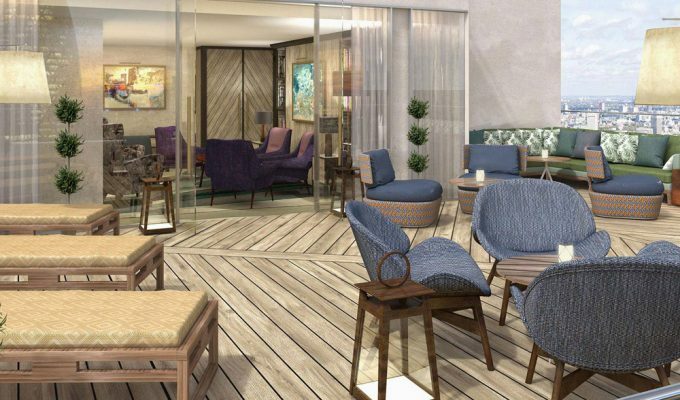 With 153 bedrooms, 14 lavish suites, two gourmet restaurants, and a bar, this is the venue to go with if you have a number of guests requiring overnight accommodations. The hotel has two meeting rooms. The first is the Grand Ballroom, a luxury event space ideal for corporate functions and grand ceremonies. 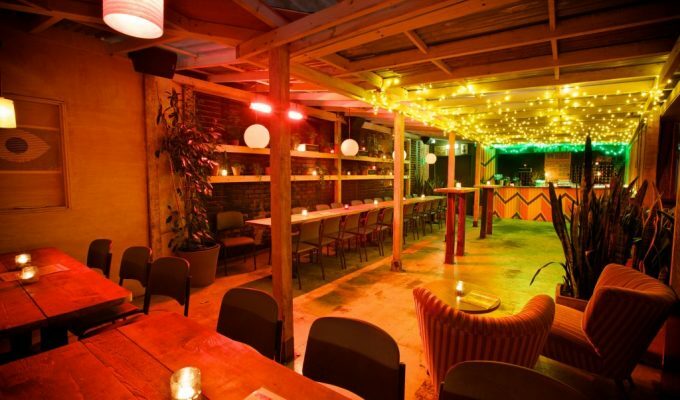 The other is the Crescent Restaurant and Lounge, which is slightly smaller and perfect for intimate events. 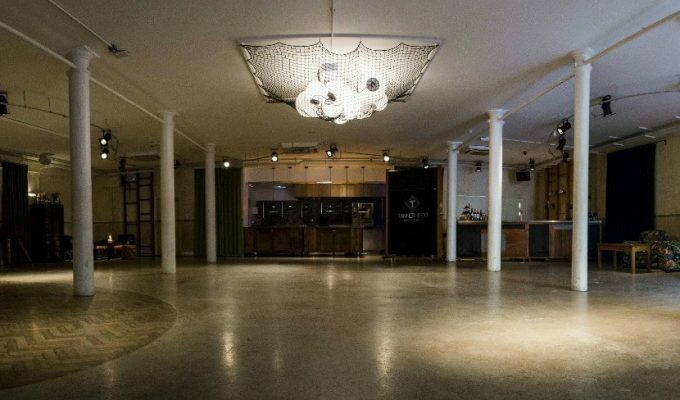 Take it from us when we say that this is one of the more elegant meeting venues in London. 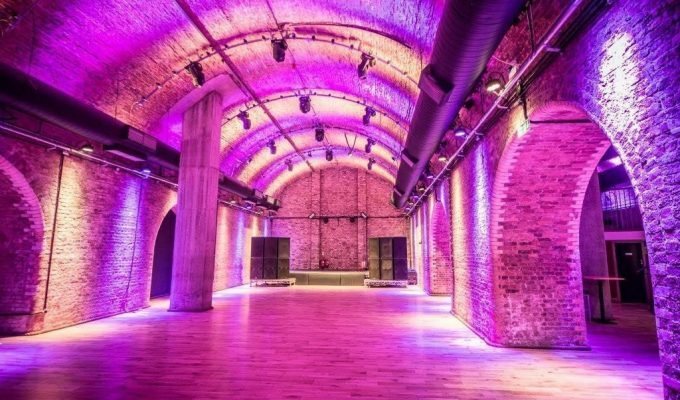 Tanner Warehouse was named the Best Wedding Venue at The London Venue Awards in 2016. 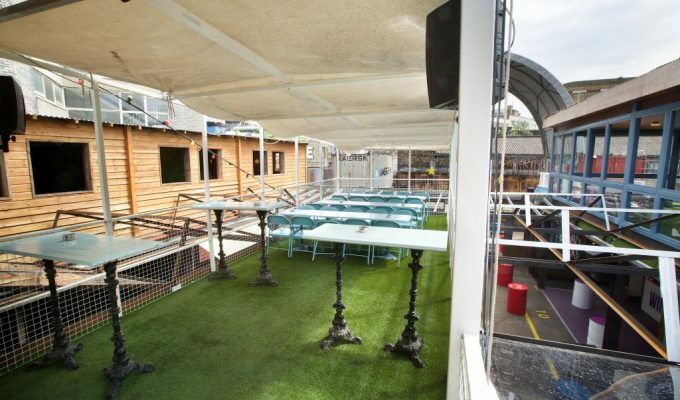 It’s also a common business venue and one of the more sought after creative meeting rooms in the city. 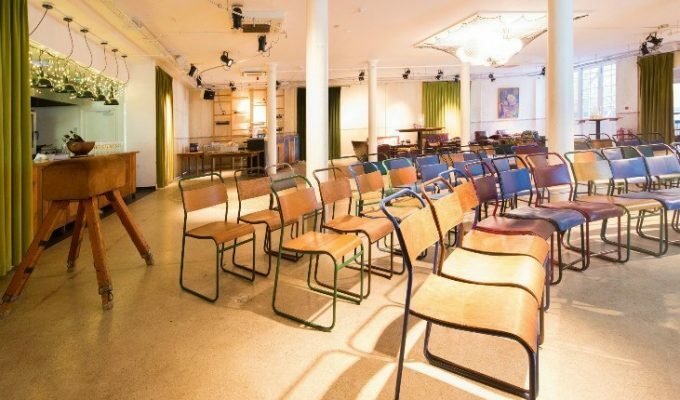 The venue can also be set up to create a classroom, cabaret, theatre, or boardroom layout. Custom layout options are also available to help get your conference room layout right. 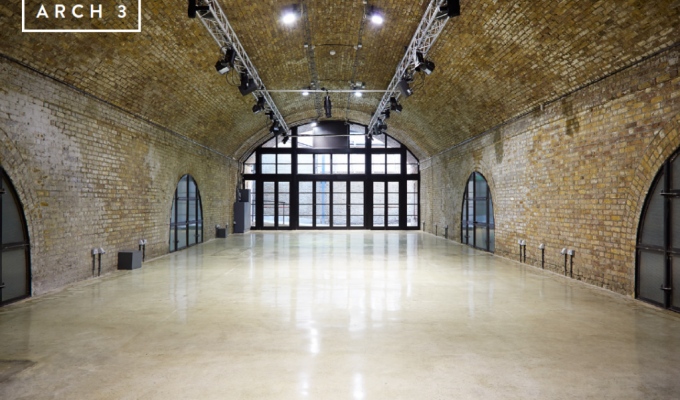 We especially love this venue because it has a specific Meetings Day Package. 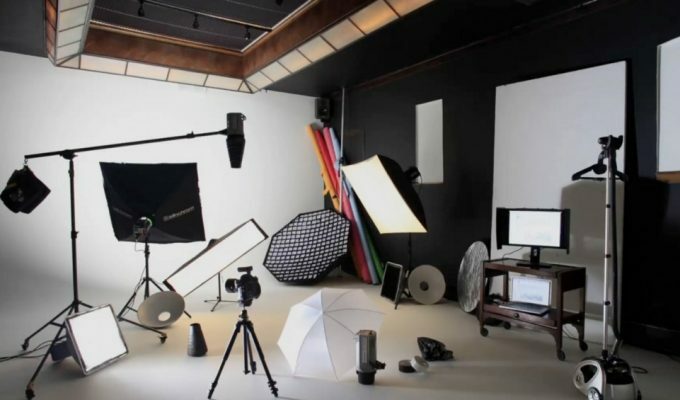 This includes access to state-of-the-art AV equipment, such as flip charts, projectors, and complimentary Wi-Fi access. Package options also include catering services and a Pastries Plus option where guests are served tasty baked goods upon arrival. 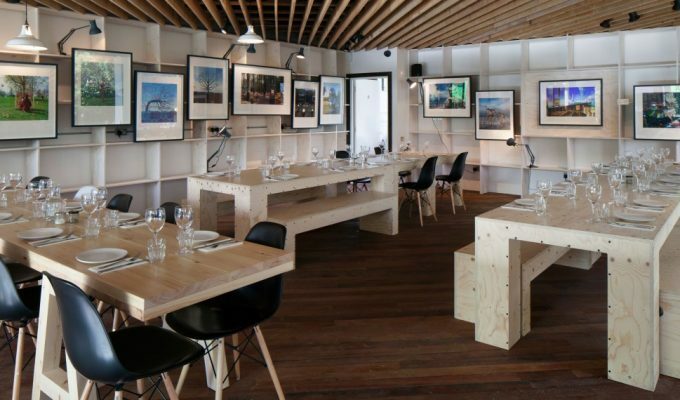 If you’re in the visual arts industry, then there is no comparison when it comes to meeting venues. 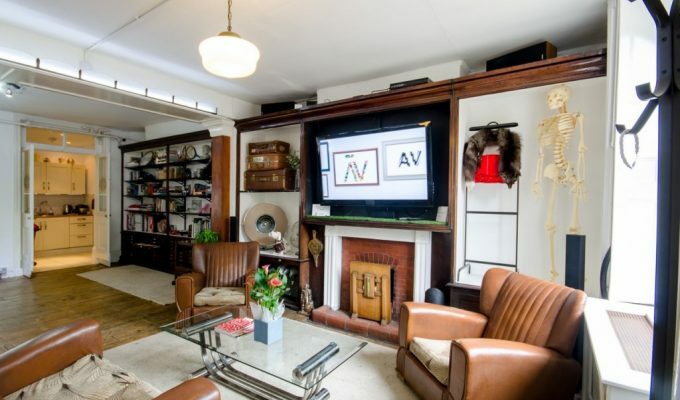 The space bears a strong resemblance to an actual studio apartment, complete with furniture. Anomalous Space is divided into two sections: Zone 1 and Zone 2. Both zones together provide 1,000 square-feet of space with vintage hardwood floors, a kitchenette, and a shelf full of books and magazines. The facility also includes AirPlay connectivity, an HD 1080p projector, off street loading, step-free access, and an art deco skylight that provides plenty of natural sunlight for daytime meetings. 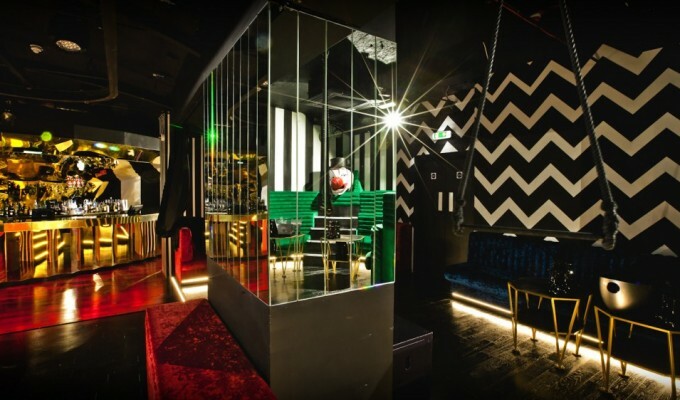 Cirque le Soir is a fairly new venue, having just opened in 2009. As you can probably guess from its name, the venue design has a heavy circus theme, though the specific designs do change from season to season. 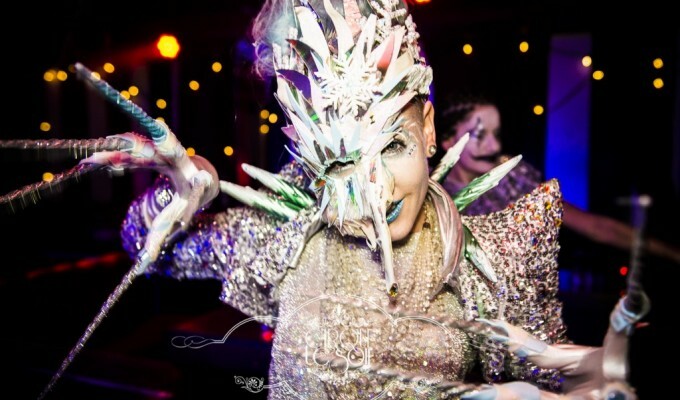 Cirque le Soir also has venues in Shanghai and Dubai; this is just something to keep in mind if you ever plan on an overseas meeting trip. 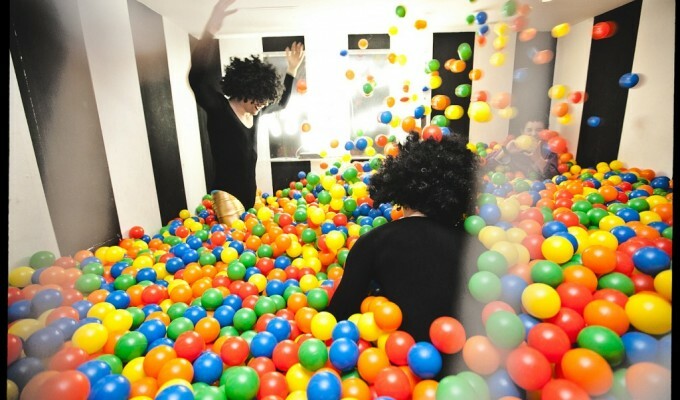 Aside from live performers, other forms of entertainment include a ball pit and a virtual reality headset game. This is definitely the place for guests to loosen their ties and have child-like fun after knocking the formal meetings out of the way. 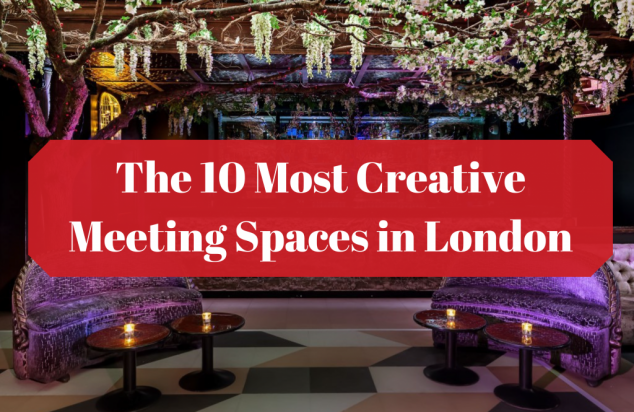 Well, here you have it, our list of top creative meeting spaces in London. 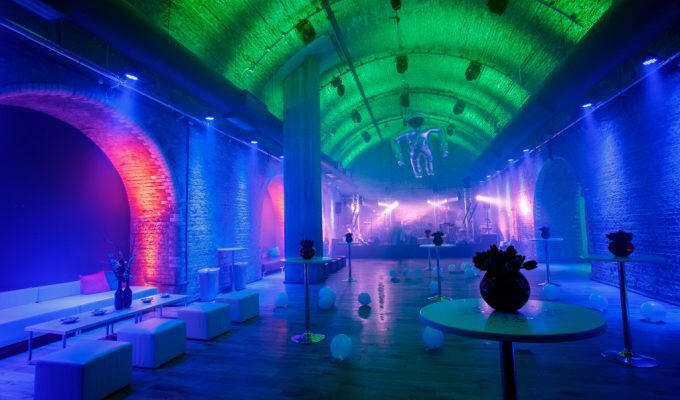 The information is gathered based on our personal experience with the venues and client input. 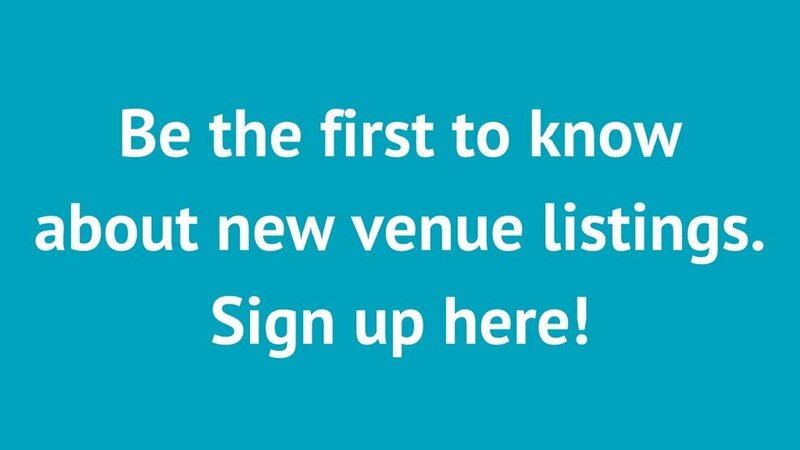 We hope you find this information helpful enough to guide your next venue-making decision. 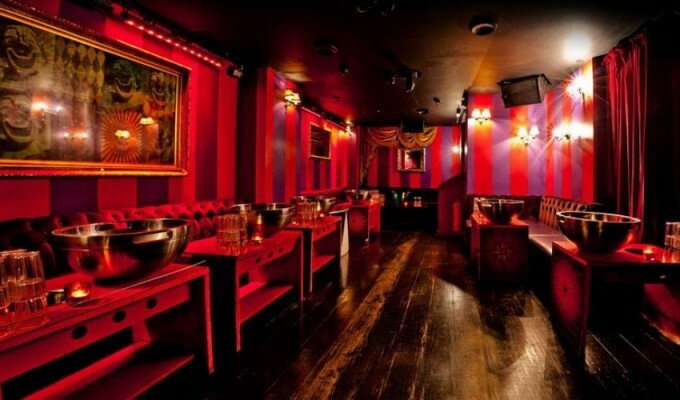 Please share your own favourited meeting spaces around London by tweeting @venueseeker.